Here they are! Please excuse the short pinky (nail broke) and my dry cuticles, eek! A dark green cream w/ teal glass flecks. 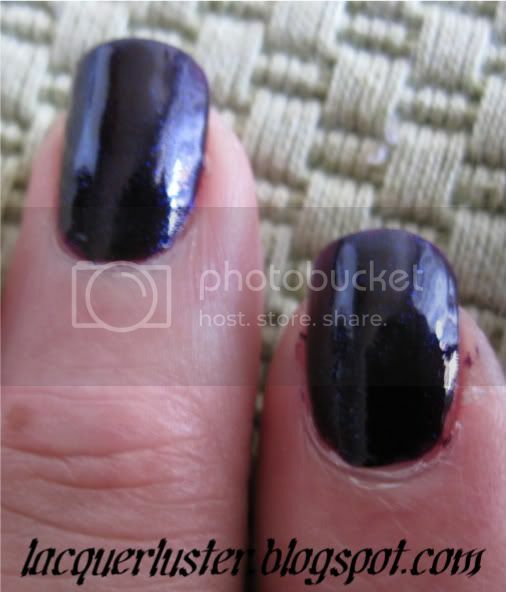 Dark purple with blue and purple glass flecks. The formulas on these were actually great! 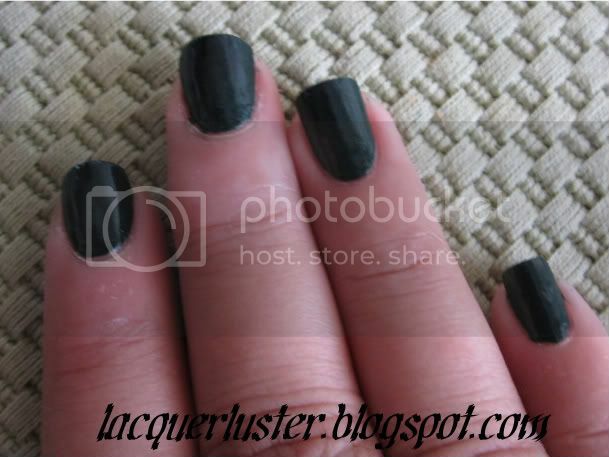 JD is more opaque than ROF; as I mentioned above, I used two and three coats respectively. They were easy to work with and dried quickly. The glass flecks (I think) are not all that noticeable except in the sun. They're both great fall colors, but not really unique. 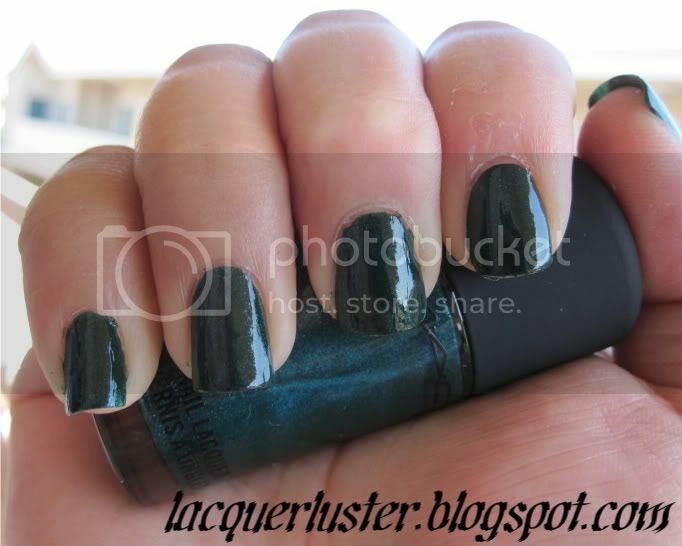 I have a couple of other dark greens that seem similar; I will do a comparison sometime in the future. Also, both of these colors stained pretty badly when I removed them. I use Orly Bonder so the nail itself seems okay, but my fingertips are tinged with some color so be sure to use downward swipes when removing. Also, Asami had a great tip: Hold the acetone-soaked cotton pad (or whatever you use) against the nail for ten seconds and then swipe. Hope this helps with your purchases! AHH!! You bought JD! I looked at it the other day and was considering buying but I ended up not getting it. DAMN. It's such a gorgeous color! Very pretty, I think they're perfect fall/winter colours. Haha... I already can't wait for it to become fall!